We appreciate you taking the time to review our web page. 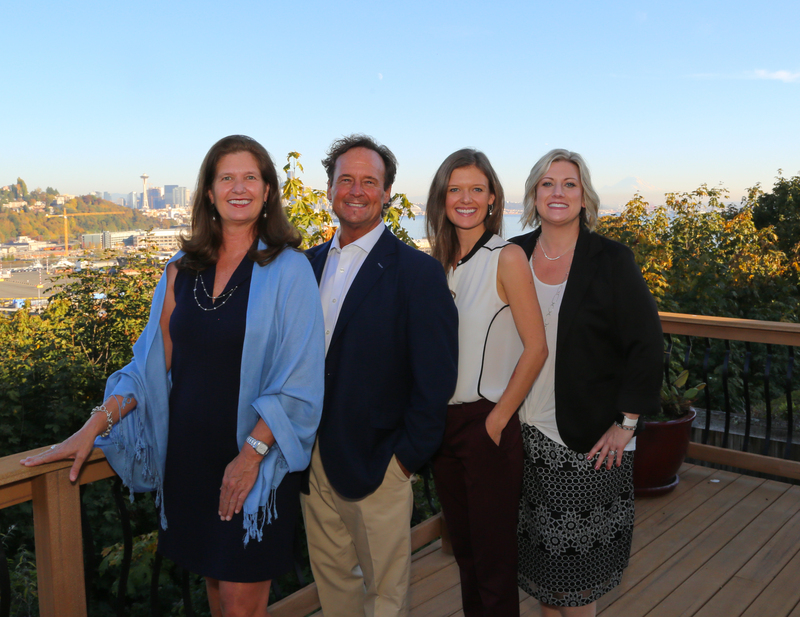 Scott grew up on Bainbridge Island, Molly and Sarah in Magnolia, where we currently reside. We have been partnered with Windermere since 1989 and truly appreciate our relationship and believe in the company’s business philosophy and unparalleled market position. It is very important to us to be affiliated with an organization that gives back to the community. The Windermere foundation is established to provide transitional housing for the homeless. Community Service Day involves members of Windermere working in their communities for a day and dedicating their services to a project of their choice. The Windermere Cup crew races are part of opening boating day. We love living and working in Seattle and very much enjoy family trips throughout the Northwest. Golfing, skiing, fishing, mountain biking and boating are some of our favorite pastimes. Seattle truly offers tremendous activities for all that enjoy the outdoors. Within a three hour driving radius around the city you will encounter the ocean, rain forests, gorgeous mountain ranges-including volcanoes, and the desert areas of Eastern Washington. Many lakes, rivers and of course the Puget Sound provide an abundance of water related activities. The San Juan Islands are stunning! Seattle’s cultural activities are awe-inspiring as well. There are wonderful productions running year round at the many theatres; Paramount, Fifth Avenue, Bagley Wright, ACT, Empty Space, etc. Benaroya Hall is the beautiful home of the Seattle Symphony. The staggering choice of museums and galleries keeps the art scene continually diverse. Sports enthusiast need not be slighted. Baseball offers the Mariners, playing in a fabulous stadium with a convertible roof, Safeco Field. The Seahawks have a resourceful and talented owner. Basketball offers the Storm. Soccer buffs love the Sounders. The University of Washington athletic programs look promising year round. There continues to be much interest, investment and developement in the downtown core. The Public Market and waterfront provide hours of delightful activities. Seattle’s culinary scene has never been more vibrant. Annual events not to be missed include; New Year’s Eve celebration and fireworks display from the Space Needle, Seattle Film Festival, The Bite of Seattle, Family Lake Union-Fourth of July celebration, Folk Life Festival, Bumbershoot and the Seafair festivities. Seattle has evolved into a very dynamic city and we are happy to be living here. We encourage you to contact us for any further information you may need, and look forward to doing business with you!